Thanks for visiting, feel free to leave us a comment or email us for more information. Get to know other ASCE members by joining us at any of our events! To use the calendar to find events, please find any dates in blue. 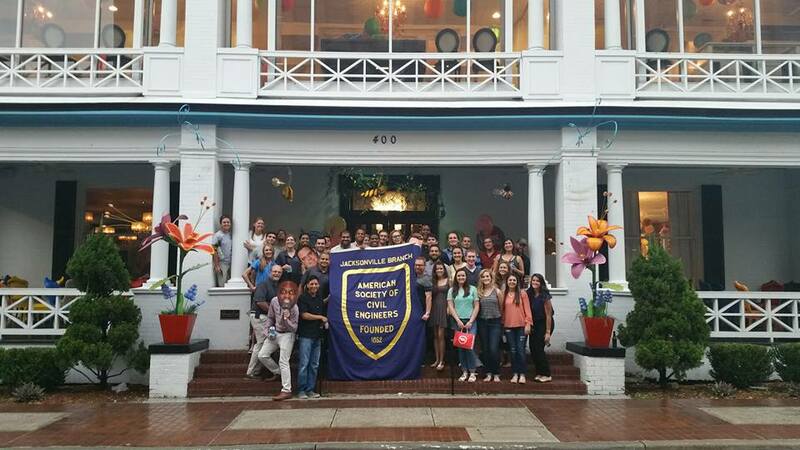 ASCE Jacksonville Branch is a group of professionals dedicated to celebrating and expanding the civil engineering profession. We hold monthly joint-luncheons, host several networking socials and fundraising events throughout the year, and keep our members connected with Section, Branch and National leaders.